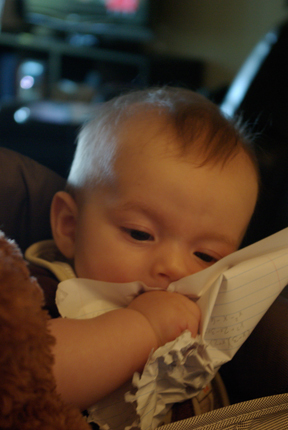 Years ago when my oldest was about 1 he actually ate part of an essay. He was sitting in a highchair at the dining table while I was working on an assignment and I looked over and there he was chewing on my homework. I enrolled in a cake decorating class in June and after the first session the instructor needed to post-pone the balance of the classes because he had to go for surgery. Then I had to go in for surgery and I restarted the course in September. With this class comes a lot of baking. Each week I need to bring cake, cupcakes or cookies to class to decorate depending on what we are learning. I have zero self control so I can’t have all of these treats in the house week after week. The first week our babysitter accepted payment in cupcakes. The second week I brought a cake to two different events on the same evening. This week my homework is headed to my son’s grade 1 class. Amazingly there are no food allergies in a class of 23. On the menu this week, sugar cooking with buttercream flowers. The children with eat my homework and hopefully enjoy it.